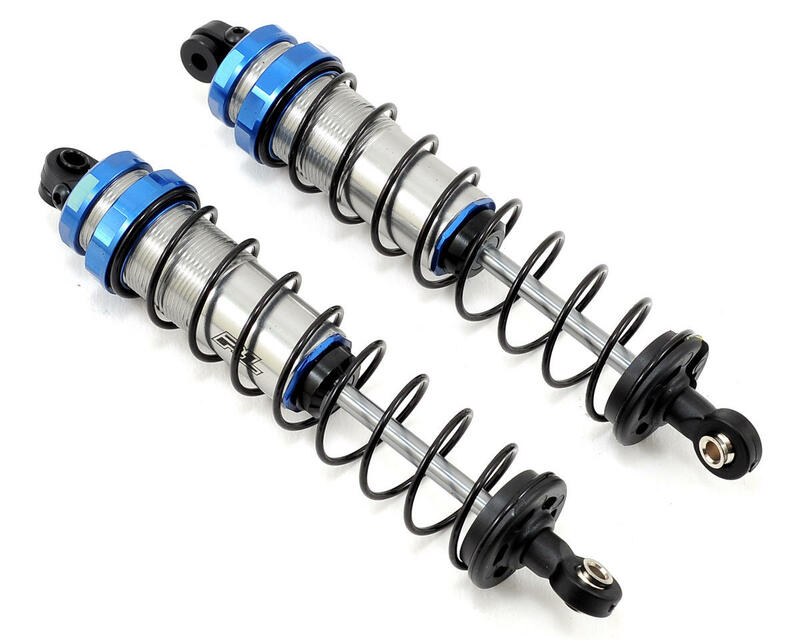 This is a pack of two optional Pro-Line 12mm Big Bore Pro-Spec Rear Shocks, designed for Short Course Trucks and other 1/10 scale off-road applications. 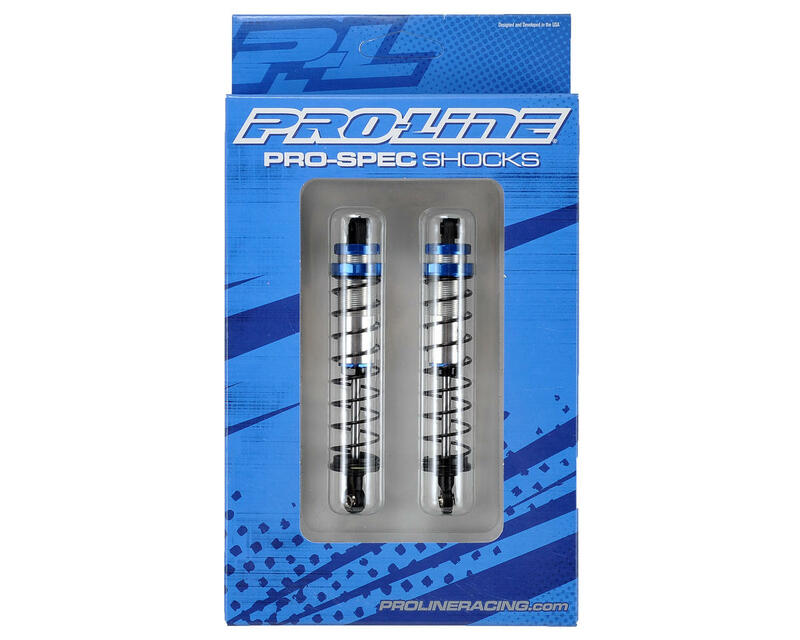 The next generation of Pro-Line Shock Technology has arrived - The Pro-Line Pro-Spec Shocks! These shocks come nearly ready-to-go; just add the shock fluid of your choosing and hit the track. The Pro-Spec Shocks are a 12mm Big Bore design with a Single Low Friction X-Ring Seal. The Pistons and Shaft Guides are made from Silky Smooth White Delrin for Low Stiction and the 3.5mm thick Shock Shaft is Hard Chrome Coated, just like full scale racing shocks. Also featured on the Pro-Spec Shocks are easy access Bleeder Cap Screws that allow for consistent shock bleeds and builds every time. Each pair of Pro-Spec Shocks includes 3 different piston options (1.4, 1.6 & 1.8) and a blank piston for drilling to a custom size. Custom Shock Tightening Tools and optional shock limiters are also included. 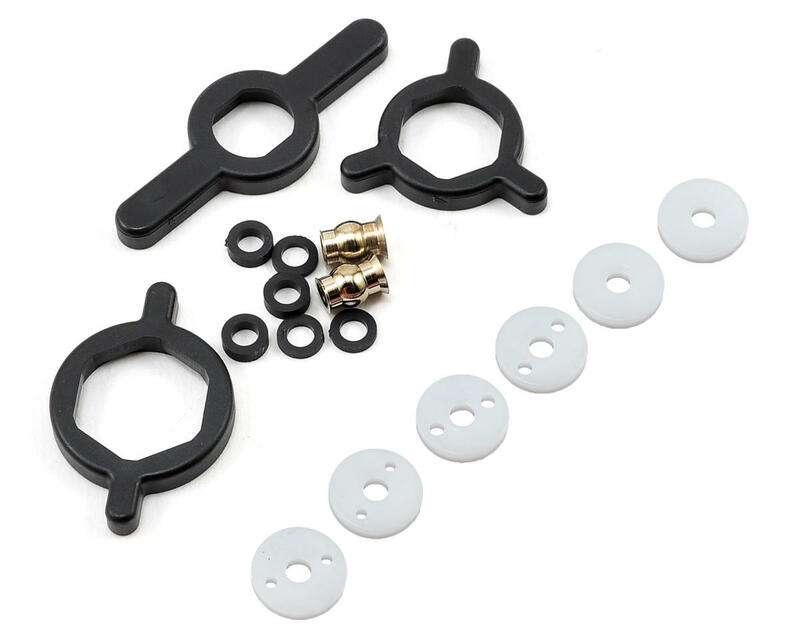 Optional Pro-Spec Springs are available separately. Upper and lower shock pivot balls are included so you can fit a wider range of vehicles right out of the box. Just got into dirt oval racing this year, took my old slash and ran half the season on these shocks that have been bashed around for the last two years without checking or rebuilding the shocks. After I rebuilt them at the halfway point found they still had nearly full fluid in them. Best shocks by far, worth every penny. At first glance they may seem overpriced, but let me assure you they are perfectly priced for what you get and what I'm still getting out of them. Bought these because I was too lazy to put the other sets together. I must say I really enjoy how easy they were to fit on and the ease of stiffening your shocks. If you race you gotta have some big bore shocks!